Looking to escape the hectic life in the city we decided to follow a life long dream and run our own bed and breakfast. Pauline was born and raised in the UK, and has 20 plus years in the restaurant and hospitality field, and will be found cooking everyday in the kitchen, planting in the garden and welcoming guests to our beautiful Inn. 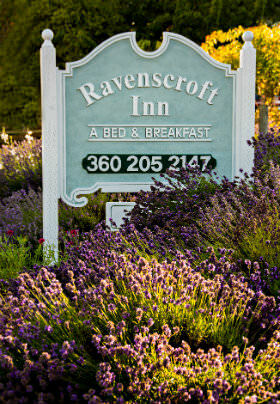 We welcome you to the Ravenscroft Inn and hope you have a fabulously relaxing time here in a very special part of the Pacific Northwest.